Practical options missing on the runways you say? Speaking of comfort & sophistication, did you ever think you’d see cargo pants and pockets return on the runways? 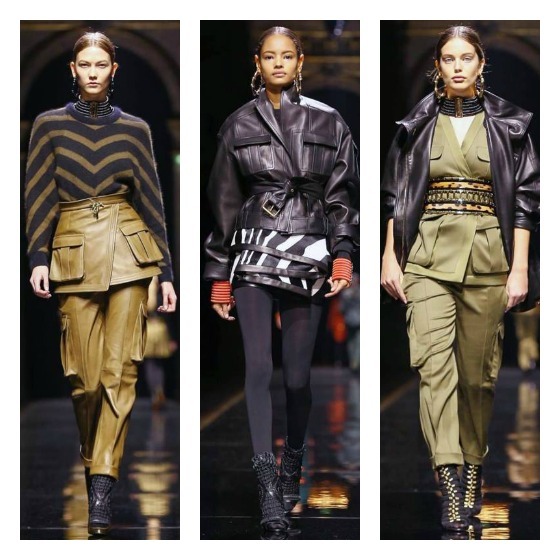 Well Balmain Fall 2014 left us clamoring for this carry all trend! 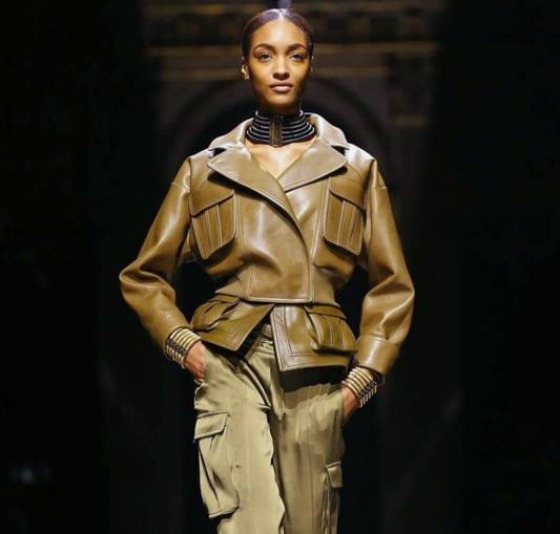 In what looks like an ode to Yves Saint Laurent’s legendary 70’s era safari collection, Balmain designer Olivier Rousting delivered a savvy Amazonian collection of get ready for it, real-world friendly attire that was high on glamour and practicality. Yes, what was once considered the ultimate in apparel for the nomadic traveler, from Boy Scouts to those lucky enough to holiday in somewhere as exotic as Africa, and what saw its decline lie in the hands of those who may not think twice about stuffing their pockets with as much loot as they can, look prime for a return. Ditch your big bags and be on the lookout for fitted pieces that boast cargo pockets along with refined, subdued colorways and luxe i.e not lived in fabrications and you too can carry it all on you in style.